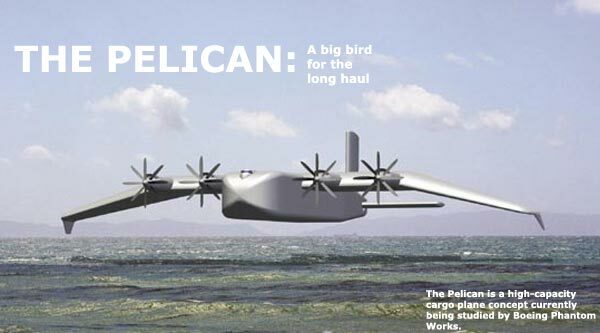 Would there be value in making a cargo jet like this? Are there enough remote islands with inhabited populations that would find this type of aircraft useful? The Soviets built a few of these to use on their internal seas: ekranoplan. I don't think it ended up being particularly economical. Einstein got it backward: one cannot prevent a war without preparing for it. Uncertainty: Learn it, love it, live it. count_to_10 wrote: The Soviets built a few of these to use on their internal seas: ekranoplan. I don't think it ended up being particularly economical. The Caspian Sea Monster IIRC. If there was they'd already exist. "There I was. . ."
Well, they already exist, so, if they were useful, people would already be using them. It is extremely cheap to ship cargo by boats already, but it takes longer. But the trade-off in cost vs time seems to favor cost. Also it is much cheaper to build a regular runway for regular planes that can be used anywhere, than to design a specialized airplane for places that lack a runway. Yeah, that's pretty much what I meant. The technology has been there forever, but if nobody is using them there's probably a good reason. Like supersonic transports. Maybe someone will set me straight here, but I find it hard to believe that flying in ground effect at sea level allows for enough reduction in drag over flying at altitude to make up for the slower speed.